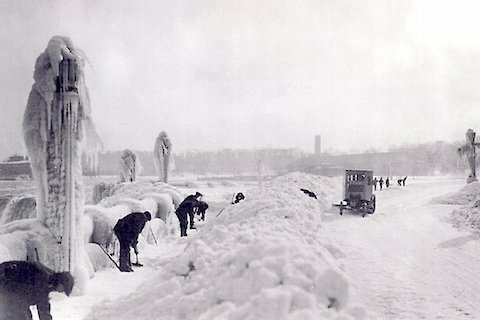 Things were done quite a bit different when it came to clearing ice and snow from the sidewalks and roadway at Table Rock near the edge of the Canadian Horseshoe Falls in the 1920’s. Here’s a photograph taken on one of the coldest winter days in the 1920’s. Check the frozen mist on the lampposts (these lampposts are still here today). Although there is not this much snow and ice around today it stills make for superb photography. Why not visit Niagara Falls and catch a firework display over the falls on Friday evenings at 9 p.m. until the end of January. It’s all free.